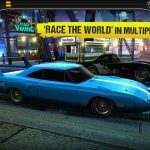 Chillingo has released a new Android and iOS mobile game called Vertigo Racing, dubbed as the “gnarliest hilltop driving game.” The game promises stunningly vertiginous landscapes and a variety of ‘50s cars – there are ten ‘50s-style vehicles here, but the operative word here is “’50s-style,” as all the cars here are fictional. You can customize your cars inside and out, and tune your engine to make it faster. There are also various tracks to choose from; it’s not just mountain tracks here, but also glaciers and ancient walls. All in all, things don’t get repetitive in this game, and it’s also very easy to drive, as all you need to do is hit the gas and brake pedals, with no need to steer left and right. This is a rather unusual racing game compared to other ones we’ve covered in the past. The focus here is hilltop driving, instead of straight-line drag racing like you’d get in CSR/CSR 2/CSR Classics and other similar titles. That might take a lot of getting used to for some gamers, but you need not worry, as we’ve come up with a list of Vertigo Racing tips and tricks. These tips are designed to help you win more races, and not get dizzy, pun intended, with the largely unusual format and game mechanics. Normally, the most obvious way to drive here would be to go fast on the straightaways and slow down in the turns; after all, why shouldn’t you take advantage of an easy setting and speed it up when the track is straight? As it turns out, the best way to go here is the counterintuitive way. That means you’ll want to go fast and accelerate through the corners, and while that might take some practice and getting used to, it’s all for the better. If you accelerate while going through the corners, your rear wheels will do the work for you by taking you in the direction you’re going. But if you go as fast as possible in the straights, there’s a good chance you will slide off the level, with the speed working too well for you. Each time you complete a race, you will earn coins, and once you’ve collected your coins, you will be asked if you want to watch an ad video. By watching that ad video, you can stock up on your coins and earn more than you would normally earn after a race. Keep on watching videos as long as the game has ads to serve up, and once you’ve got enough coins, you can spend that currency on upgrades to make your car better. You can also grind for coins in Vertigo Racing, and the best way to do this would be to use your fastest car when replaying the easiest level. That should allow you to go a great distance, which should, in turn, earn you more coins. And the more coins you earn, the more coins you’ll be getting when you watch the subsequent ad video. 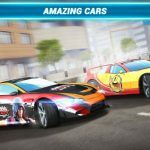 Those coins, once again, will be used to upgrade your vehicles, and you’ll need those cars to win cups on new levels – we’ll tell you more about cups later on! 4. What Are The Best Upgrades To Prioritize? Once again, things are a bit counterintuitive here. You may think that speed and acceleration are the most important attributes to upgrade, and it is indeed true that they matter. But upgrading those attributes change the way your car handles, and that may force you to adjust the way you drive, changing the way you hit the gas or the brakes and often making you more careful as a result. 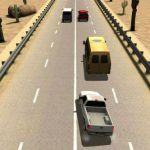 Still, speed and acceleration do play a role in situations where you have to drift or jump, which will be common as you shoot for more coins. Instead of prioritizing speed and acceleration, focus on upgrading fuel and damage, as the former helps you last longer, while the latter makes your car sturdier. 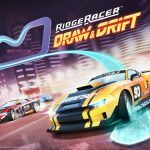 Not all of the cars will be available to use right from the get-go; you will have to unlock a lot of them as you play Vertigo Racing. So how do you unlock those vehicles? The answer to that question would be by winning cups, which would be easier if you u lock more levels through the coins you earn. You can win easier cups by using your older vehicles in their upgraded state. In fact, you can set things up in such a way; win the first cup with your first car, win the second cup with your second car, and so on.